London - Two years ago this very day. Ace Jackalope, disguised as a Yeoman Warder (Beefeater), explored the Tower of London in search of history, mystery and Gothic horror. 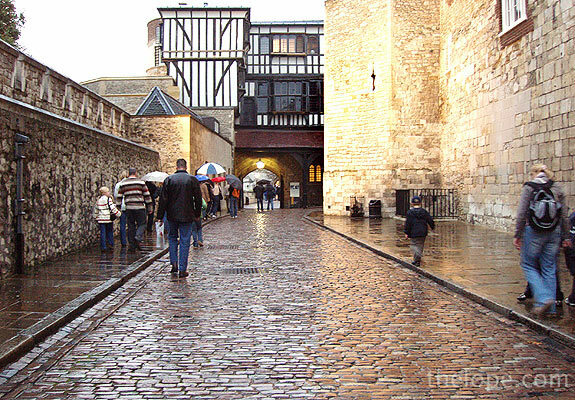 There was a chill in the damp October air as rain soaked the ancient cobblestones within this compound (actually, many towers and buildings) of misery, torture and, many say...ghosts. What's the recipe checklist for a good haunting? You need death - preferably neither peaceful nor welcome. Lots of it increases your odds of a ghost. 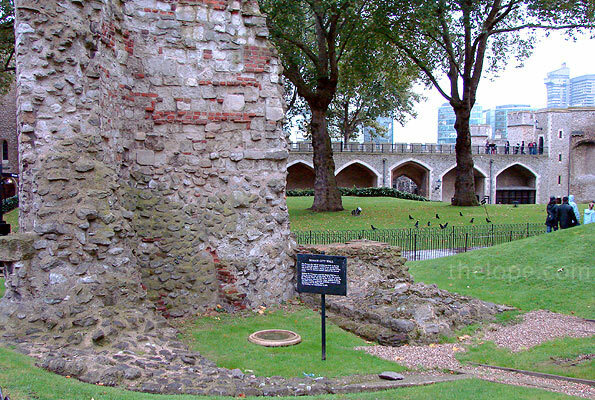 In fact, that particular unfortunate wife of Henry VIII, beheaded in 1536, is said to haunt the Tower Green (above) where she as executed. Funny how you look at the green lawn and the horrors that occurred there seem incongruous. "Slowly down the aisle moved a stately procession of Knights and Ladies, attired in ancient costumes; and in front walked an elegant female whose face was averted from him, but whose figure greatly resembled the one he had seen in reputed portraits of Anne Boleyn. After having repeatedly paced the chapel, the entire procession together with the light disappeared." Another account of this story is that phantom procession occurs on the anniversary of the execution of Margaret Pole the Countess of Salisbury, who refused to shuffle off this mortal coil without a fight. She was pursued around the scaffold by the axeman who swung wildly at her until she died a most gruesome death. 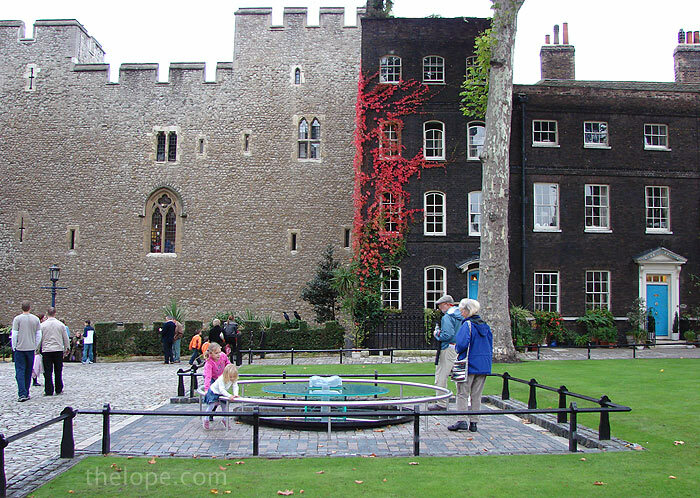 Anne Boleyn was also allegedly sighted in 1864 by a sentry standing at the Queen's house. He challenged a white mist-veiled shape and subsequently stabbed it with his bayonet. Of course, the bayonet went right through it. The guards story was corroborated by two witnesses who said they saw the whole thing from a window in the Bloody Tower. Which reminds me, a good ghost story needs place names free of ambiguity. 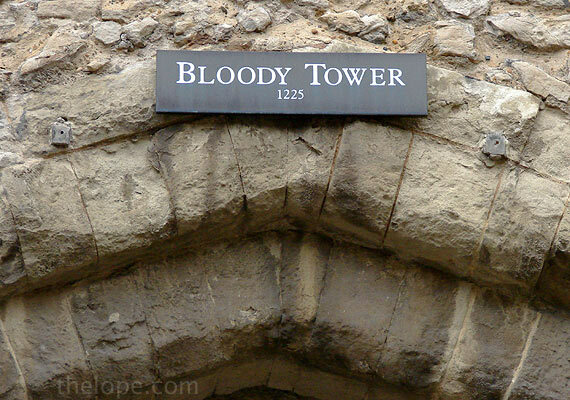 Yeah - Bloody Tower - not much room for doubt there. To gather a few haunting stories, a stretch of time...centuries, even - is desirable. It's like casting a wide net over history. Check. With a roman wall (2nd or 3rd century) in the foreground, a medieval wall mid-ground and modern London in the distance, you know a lot of people have died in the vicinity. Plant enough bodies and a ghost is sure to come up somewhere. One also needs atmosphere for a good story. A castle, stone of course, with battlements is perfect. Yes, this will do. 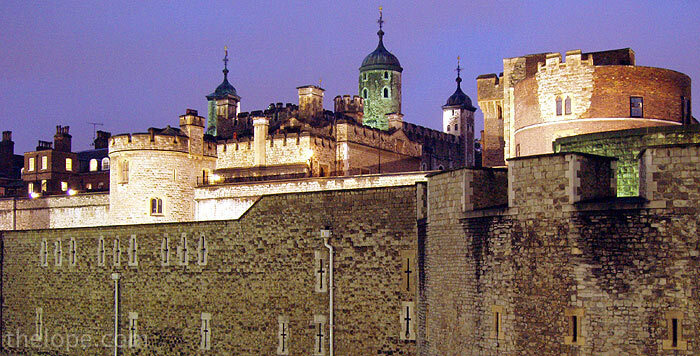 The Tower of London is well lit at night, by the way. You can shoot exteriors after it closes. They didn't allow tripods in the tower when I was there, so I didn't bring one. I did find ample stable objects on which to set the camera for time exposures, however. 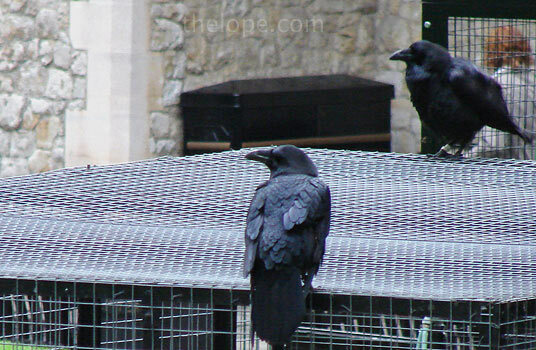 Any potentially haunted place gets bonus points for ravens. "Our thumping hearts hold the ravens in, keep the tower from crumbling" - Kate Bush lyric from the song, Lionheart. Indeed, there is a legend that if the ravens ever leave the tower, it will crumble. In 1660, Charles II was asked by his astronomer to have the ravens removed so as not to soil a telescope that was kept in one of the towers. The king at first was ambivalent, but upon learning of the legend, decided that at least six ravens be kept in the tower at all times. When I was there, the Yeoman Warder told me they normally have eight, and that their wings are clipped. 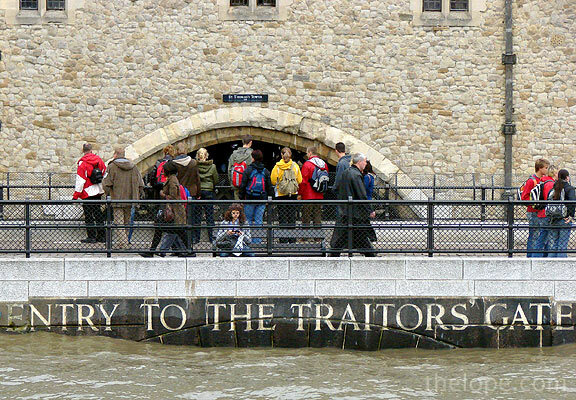 There's also a ghost story associated with the Traitor's Gate, the gate on the Thames River through which prisoners were brought into the tower complex. The gate is part of a building project of Henry III. One story has it that when it was being finished in 1240, a storm undermined the foundation and the gate collapsed. When the same thing happened in 1241, an investigation revealed that a priest claimed to have seen the ghost of Sir Thomas Becket striking the walls with a crucifix. Supposedly, the ghost of Becket didn't like the new building and said it was "for the injury and prejudice of the Londoners, my brethren". 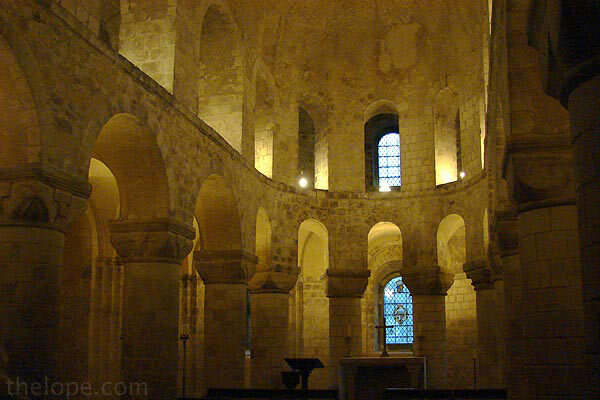 Since it was the Henry III's grandfather who had ordered the death of Becket he felt wise to dedicate the building to Sir Thomas Becket. Hauntings are still reported there. Doors open and close by themselves, a monk in a brown robe is seen, the sound of a monk's sandals is heard...that sort of thing. 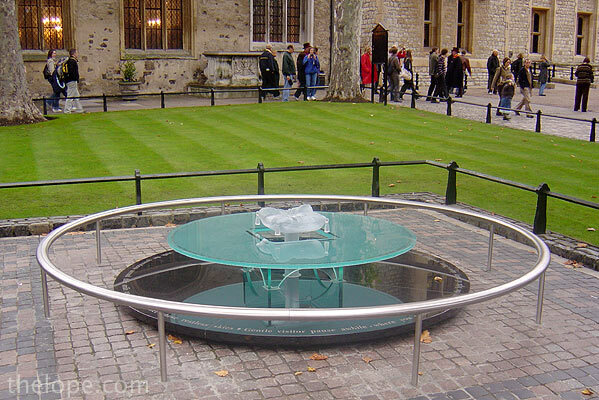 There are many stories of ghosts in the Tower of London; these were just a few. The Beefeaters don't like to hold things for photos, by the way. One told me that one of his fellow Yeomen had been a victim of a Photoshop switcheroo involving an object he would never have held. I don't know the details on that. Anyway, they're friendly and this one was happy to pose, as well as to explain that the red version of the uniform, which Ace wears (courtesy of a fittingly beheaded and eviscerated souvenir stuffed animal) is for ceremonial purposes. 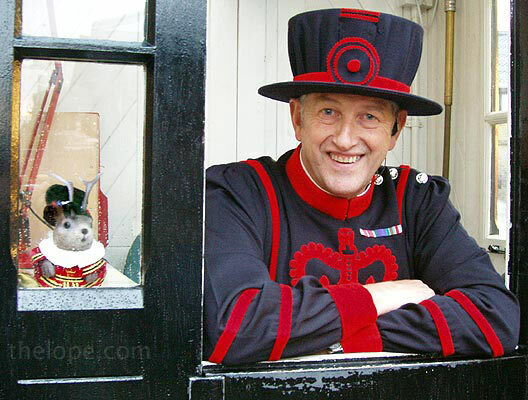 The dark version this Beefeater wears is the usual one.